Routine clinical outcome monitoring (RCOM) is the standardised gathering of measures of clinical outcomes in everyday practice. HoNOS (Health of the Nation Outcome Scales) is a tool used in RCOM. To examine (a) agreement between HoNOS and Global Assessment of Functioning (GAF), (b) HoNOS changes over time/attendance and (c) clinical parameters affecting HoNOS scores. Data from outpatient clinics were collected at each contact over 2 years until June 2016 including: gender, age, diagnosis (ICD-10) and HoNOS scores. In a subsample, the GAF also were completed by community psychiatric nurses blind to HoNOS scores. A number of 470 outpatients have undergone 1125 HoNOS assessments during the study period. Mean age of the attendants was 43.12; SD 14.6. Male = 220 (46.8%). Longitudinal analysis demonstrated that lower HoNOS scores are independently significantly associated to number of assessments and diagnosis in ICD-10 categories of F20–F29 (Schizophrenia, schizotypal and delusional disorders) F30–F39 (mood disorders) F40–F48 (neurotic, stress-related and somatoform disorders) and F50–F59 (behavioural disorders associated with physiological disturbances). Gender and age were not significantly associated with decline of HoNOS scores. Neither were other diagnostic categories. Agreement between HoNOS and GAF was excellent (N = 261, rho = − 0.919, p < 0.001). 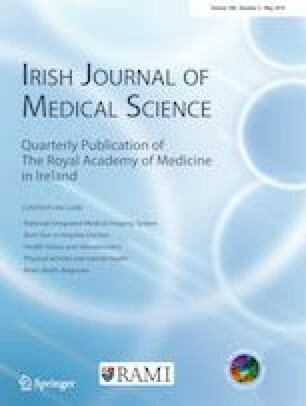 This study shows that HoNOS is a feasible instrument which can be potentially used in ROCM in mental health services in Ireland and supports further the need for implementation of routine measurements in Mental Health Services. It adds longitudinal data which is lacking in similar previous studies. We would like to thank the Doctors and CPNs working in this Mental Health Team for completion of the scales. The project was approved by the Ethics Committee of Sligo University Hospital.